The rumors are true and the quotes dismissing them are misleading you. Arkane Studios is making Prey 2. Officials at the company behind the game just didn't want you to know yet. Arkane Austin is working on a rebooted version of Prey 2, although representatives from both the studio and their parent company Bethesda have denied as much. We reported that we'd heard it in May, and today, thanks to some e-mails obtained by Kotaku, we can confirm that it's true. Arkane—the game developer best known for last year's stellar Dishonored—is now made up of two studios. One is in Austin, Texas and one is in Lyon, France. 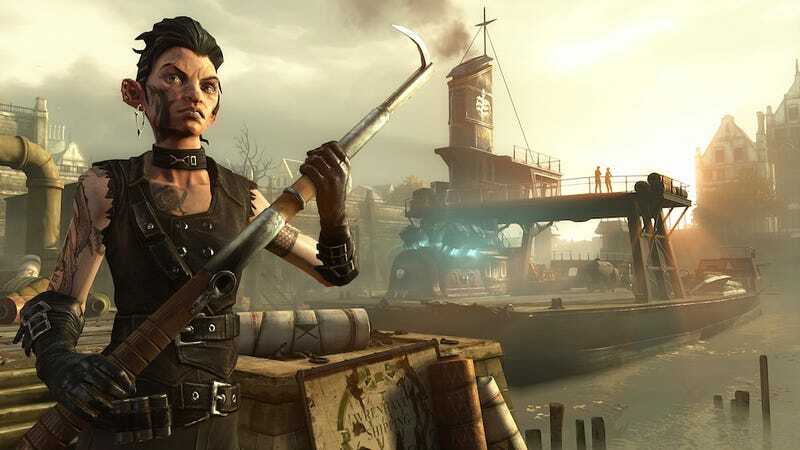 The studio in Lyon is working on a sequel or successor to Dishonored, according to a person familiar with their project. Dishonored co-director Harvey Smith recently moved to France to work with that studio. Arkane Austin just finished up Dishonored's excellent downloadable content and is in pre-production on a reboot of Prey 2, which Bethesda greenlit back in May. They hope to make it a spiritual successor to System Shock 2, and it's a total overhaul; Arkane does not plan to use anything that Human Head, the studio that has spent the most time working on the troubled Prey 2, has already created, according to a Kotaku source. In other words, Arkane Austin has a fresh start. It's the type of thing that will undoubtedly excite fans of games like System Shock 2 and Dishonored, but on two different occasions over the past few weeks, top people at both Bethesda and Arkane have done their best to make it seem like Arkane and Prey 2 have nothing to do with one another. Our reporting of this story back in May was triggered by an anonymous tip sent to Kotaku and several other gaming outlets. Once we were confident in the tip's information and had alerted both Arkane's management and representatives from Bethesda, we published the story. At the time, Bethesda declined to comment. A couple of weeks ago, Bethesda's vice president of marketing, Pete Hines, offered a vague denial of our report while speaking to Rock Paper Shotgun. Although it's true that Prey 2 has not switched hands—Arkane's version of Prey 2 will be an entirely different game—the implications are misleading, and sure enough, the RPS report led to incorrect headlines all across the Internet: "Bethesda: Arkane is Not Involved in Prey 2," wrote IGN. "Recent rumors have proven false." Here's an e-mail sent from Colantonio to his staff back in May in which he says they're working on Prey 2. When reached by Kotaku for comment today, Bethesda sent over a statement: "We aren’t talking about what Arkane is working on and we have no new information to share on Prey 2." Why are they being so vague? Why mislead the public like this? Maybe there are legal issues involved here—the relationship between Bethesda and Human Head is still very bizarre—but it's an unusual and unfortunate situation. Still, this should put matters to rest. We know that Arkane Austin is working on some sort of reboot of Prey 2, and based on their track record, there's plenty to be excited about. I don't know why Bethesda and Arkane are trying to mislead the public about their next project—and by the time this game does come out, it might not even be called Prey 2 anymore—but I'm looking forward to seeing what this talented team can do with it. Top image from Dishonored: The Brigmore Witches.